← An “Indy” Author speaks: AWARDS, REVIEWS, AND HAPPY MOMENTS…. Free Speech must die! Obama’s campaign to protect the image of Islam. President Obama is on a mission to protect the image of Islam. To do this, he seeks to suppress free speech. Read on for details and consequences. 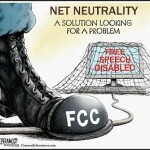 Without the 1st Amendment, all our other rights are null and void. Even the NRA — for the first time in its long history (they are America’s oldest Civil Rights group) is defending both the 1st and the 2nd Amendments. Who thought the ACLU and NRA could ever agree on anything? Obama got harsh criticism from both the right and the left for failing to attend the Hebdo Anti-Terrorism march in Paris, a massive demonstration to support a small magazine whose staff was slaughtered by Al-Qaida for daring to criticize radical Islam. He got more criticism (not enough to dissuade him) for stating the horrific 2015 attacks all over Paris had “nothing to do with Islam.” He hopped into Airforce One to deliver this message in person — NOT in Paris, but in a Muslim country. This misses the point: It’s not about missing a march or political denial. It’s about a policy that supports violent jihadists and protects them from criticism. 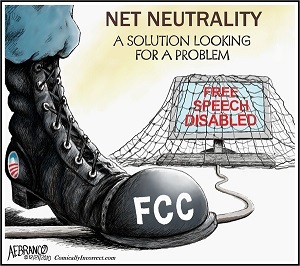 Our 1st Amendment rights have been under increasing attack for the last decade. Are they to now be sacrificed on the altar of political correctness? If you make use of public free speech as a writer, reporter, author, media host, or activist, you care about this. If you value freedom and the Constitution, you must care about this. Lynch lynches Americans. AG Loretta Lynch to Prosecute “Anti Muslim” speech. Who needs that stupid First Amendment? Link. Team Obama has moved beyond suppressing criticism of Islam. They also seek to suppress discussions of science that opposes their political objectives — specifically (nonexistent) Global Warming Alarmism, a touchstone of the radical left. “This not only represents a serious blow against the free flow of ideas and the vigorous debate over scientific issues that is a hallmark of an advanced, technological society like ours, it is a fundamental violation of the First Amendment. As I have noted before, this is also reminiscent of the old Soviet Union, where Joseph Stalin persecuted those whom he thought had the “wrong” scientific views on everything from linguistics to physics. Both Lynch and Whitehouse might want to read Aleksandr Solzhenitsyn’s book, “In the First Circle,” in which he outlined the Soviet government’s suppression of dissenting scientists and engineers.” –Hans von Spakovsky. Commentator Charles Krauthammer suggested that if President Obama actually allows such a prosecution to go forward, it would be an impeachable offense. Pretty simple, huh? The Constitution is designed to limit the power of central government, and this is the clause that tells it to leave religion and free speech alone. Some disagree. We hear a lot of arguments that priests and ministers should not be allowed to comment on political issues. This is the “Separation of Church and State” argument, one which is selectively applied these days. But it is NOT OK for Christian Churches to object to ObamaCare mandates requiring their congregants to support actions against their religious beliefs under penalty of law and the threat of losing their tax exempt status. We have the Federal Government suing groups like “Little Sisters of the Poor.” Say what???!!! This issue gets more sticky when it comes to Islam. 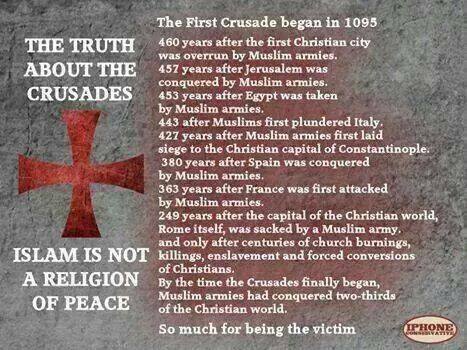 The West and Islam have been in conflict for over a thousand years. An emerging America stood up to Islamic terrorism on the “shores of Tripoli” when most of the world was fearful and submissive. The discussion of “One Nation Under God” is also separate, and it is a crucial part of America. Does the “free exercise thereof” (of religion) extend to mass murder, cutting off hands, beheadings, suicide bombers, crashing airliners into buildings, and other such actions? America (both parties) has had problems with this one. Of our Presidents, so far, only Thomas Jefferson handled it well. Resolving it is likely an existential issue for America, and, while I have opinions, I’ll not discuss them now. Let’s set that one aside for now except to agree that we and the world are in a generational war, a bloody clash of cultures, one we’re losing, and one that now threatens our rights to free speech. 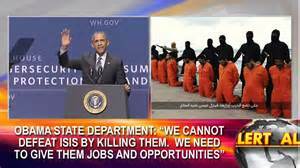 Team Obama (with media support and judicial tolerance) keeps making odd statements like, “ISIS is not Islamic,” and, “Fort Hood was workplace violence” (not a jihadist act of war). Some are calling Obama’s 2015 SOTU the “State of Delusion” speech. He didn’t even mention Al-Qaida, the first non-mention in a SOTU speech since 9/11/2001. Are we allowed to say this is wrong??? Let’s just stick to uncensored news, Americans being allowed to speak their truths or opinions in public, or novelists being allowed to craft novels designed to entertain that dare to overlap reality and provoke thought. In the past, we’ve taken this right for granted. In Russia, “Not so much,” but in America, “Of course.” Until now. President Obama is now on a mission to protect the image of Islam. Please note that “the nation’s journalism community” extends far beyond the legacy media. Radio hosts, bloggers, authors, and the Internet (social media, Tweets, and Websites) are also targeted by this policy effective Feb. 26. 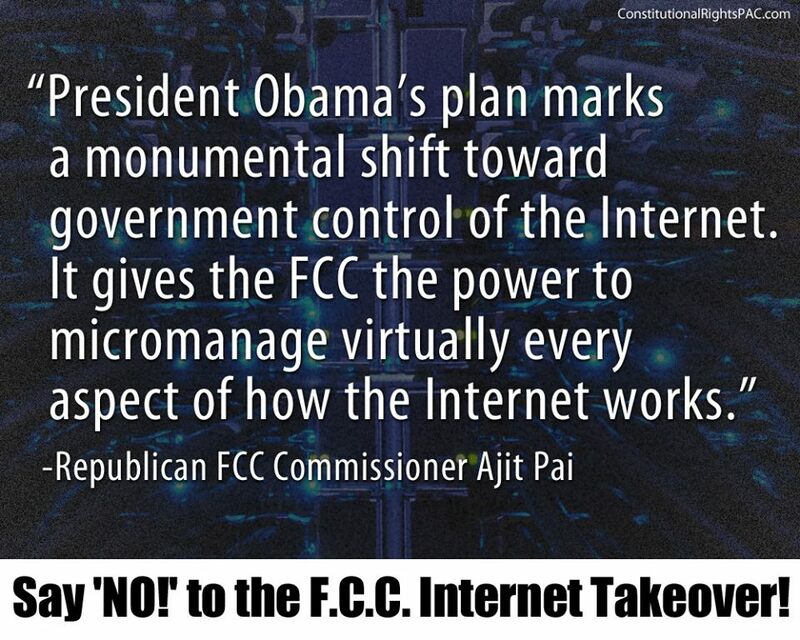 Obama just grabbed control of the Internet by executive order from the FCC. 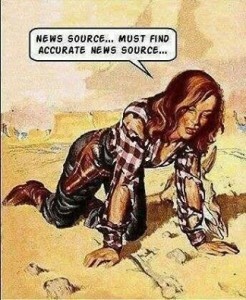 We have a problem. It’s been there and growing for years, but now it’s going nuclear. Here are some blog posts I’ve put up about free speech and growing tyranny. Here is a GREAT post from Brad Thor about the reality of jihad, and another blog post about it from me. Brad. Me — and do please note Pam Geller’s comment about how to stop jihad. The good news: Congress, since the last election, has the power to protect our free speech. All we have to do is to force them to use it. Sidebar: Q: Was DISH censoring Fox? A: Maybe. Thank you for reading and feel free to pass this along. Good luck to us all, and may God Bless America. 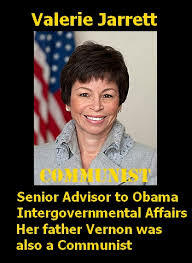 Warning: It is NOT just Obama. The legacy media, already part of the Team Obama propaganda machine, would likely have no problem going along with such censorship. Christians and Jews are inclined by nature to “turn the other cheek” and go along. This kindness has cost civilization dearly in the past. “So here we are, what — two, three weeks later after the horrific massacre in Paris? And what is the response from Western media? Obama “Stands with the Muslims.” See link. Check this speech, trying to equate bloody radical Islam to Christianity. Obama: “Remember that during the Crusades and Inquisition, people committed terrible deeds in the name of Christ. And our home country, slavery and Jim Crow all too often was justified in the name of Christ.” Yikes. Obama has always “stood with the Muslims,” but why is he now “going nuclear” (= using every power of his administration) to suppress speech critical of radical Islam? Why so much anger over Congress being briefed by Israel on Islamic threats? I think the reason goes beyond ISIS and is exactly Nuclear. It is increasingly clear Obama wants to bypass Congress and cut a deal with Iran, and that concern about this is mounting. This was the plot line of my novel Raven’s Run, and what Rep. Michele Bachmann confronted Obama over at the White House Christmas Party 2014: The danger of Obama’s allowing Iran nuclear weapons and delivery systems. This entry was posted in Actionable, Constitution & Gov, Military, Non-Fiction and tagged Dark Side, Educational, Ethics, Tyranny. Bookmark the permalink. 10 Responses to Free Speech must die! Obama’s campaign to protect the image of Islam. The White House can’t find anything to condemn about the Muslim Brotherhood. Hillary Clinton’s top advisor, Huma Abedin is a Muslim, whose mother and brother are involved in the now outlawed, in Egypt, Muslim Brotherhood. And meet Fatima Noor, President Obama’s latest appointment to a high level position in the Department of Homeland Security, the post of special assistant to the Director for U.S. Citizenship and Immigration in DHS. Ms. Noor has little if any experience in the compliance or enforcement fields. Her total experience in government related work is limited to volunteer work with World Relief Memphis and as activities coordinator the Tennessee Immigrant and Refugee Rights Coalition. She majored in psychology with minors in Spanish, and Arabic international relations. She recently completed a month-long research fellowship in Muslim psychology hosted by Carnegie-Mellon and the University of Pittsburgh; her research will be ongoing as part of her work the DHS. We should all keep in mind that Obama famously, “Stands with the Muslims.” Obama says, “ISIS is not Islamic.” He refuses to use the word “jihad.” The truth is that radical Islam is ascendant everywhere, and that they are at war with us. A FAN SENT ME THIS NOTE. It’s well said, as is the book “Bullies” by Shapiro. At some point in our collective history, our ancestors engaged in tribal warfare and cannibalized their fallen enemies. So shut up about the Nazis, you hypocrites. Forget Obama’s historical ignorance, if you can, for just a moment. Forget that the Crusades, for all their brutality and horror, were a response to Islamic aggression; forget that the Inquisition was an attempt to systematize legal punishment for anti-Christian activity rather than leaving it to the heated mob; forget that all abolitionist leaders were devout Christians; forget that hundreds of thousands of Christians marched to their deaths during the Civil War singing the words “as He died to make men holy, so we die to make men free”; forget that the chief leaders of the civil rights movement were Christian leaders like Reverend Martin Luther King Jr.
Focus instead on the fact that President Obama felt the necessity to defend radical Islam at all. Why defend radical Islam? What is the point? 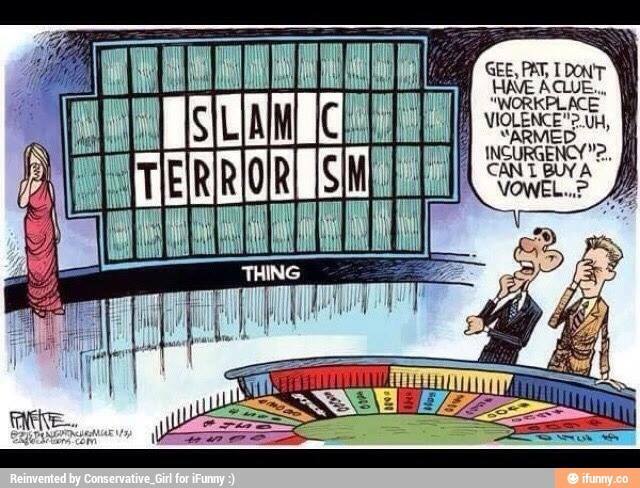 Obama defends radical Islam because he does not think in terms of ideology, but in terms of power dynamics. If radical Muslims commit terror, it is because they feel helpless and hopeless. If they feel helpless and hopeless, it is because Westerners made them feel that way. If Westerners made them feel that way, it is because Western ideology must be exploitative and evil. In other words, Obama cites the Crusades as justification for shutting Christians up because the Crusades caused all of this. If Christians had just kept their pieholes shut several thousand years ago, none of this would have happened. Obama’s ignorant and bigoted gloss on Christian history isn’t a throwaway line: it’s the centerpiece of his philosophy. Radical Islam isn’t the problem because Christianity is. And we know that Christianity is the problem because radical Islam is violent. In this skewed version of reality, modern Christianity’s fantastic record is a direct outgrowth of its disreputable past. Obama extends this bizarre philosophy to every part of life. Those who murder Jews in Israel aren’t motivated by radical Islam: They were exploited by those evil, non-murdering Jews. Those who riot in Ferguson aren’t motivated by a corrupt ideology of victimhood: They were exploited long ago by those who cower in their stores, trying to prevent the looting. Those who sire children they abandon, drop out of school and refuse to hold down jobs aren’t predictable refuse of a broken philosophy: They are victims of those who get married, stay in school and hold down jobs. Success is the ultimate indicator that your philosophy is evil. Failure is the ultimate indicator that you are a victim, regardless of your ideology. The first amendment is the document that secured in pen our pre-existing right to speak freely. The first amendment didn’t create free speech anymore than the civil rights movement made blacks equal to whites—it simply set an already existing human right into man-made law. The freedom to speak openly without fear of reprisal is not just a human right, it is part of our state of being; it’s as essential to who we are as our consciousness. But there are those who want to suppress this intrinsic right because of their own sensibilities. According to a new YouGov poll, when asked the question: “Would you support or oppose a law that would make it a crime for people to make public comments intended to stir up hatred against a group based on things such as their race, gender, religion, ethnic group, or sexual orientation?” a stunning 41% said yes. This is the plurality. 39% opposed. Broken down, Democrats were more on board (no surprise), with 51% supporting, and 26% opposing. However, 37% of Republicans also said they would support such measures. As George Orwell said, “So much of left-wing thought is a kind of playing with fire by people who don’t even know that fire is hot.” Given that, I expect Democrats to do stupid things, but when the overall percentage favors supporting measures which would suppress free speech, we’ve entered frightening territory. There is a caveat. It is possible that those who answered didn’t understand the question. As YouGov points out, hate crimes are already illegal, but “hate speech” as it were is protected in the United States, unlike in many other countries. The respondents may have misunderstood the question, thinking it referred to actual criminal acts—but if that’s the case, I’m still awestruck at the idiocy. Either the audience misunderstood a simple question, or they believe free speech should be suppressed. As has been repeated recently in reference to the Garland, Texas “Draw Mohammed” shooting, the first amendment wasn’t designed to protect speech with which everyone agrees, it was designed to protect speech some may find offensive, or even sickening. We protect free speech because if even one tenth of one percent of speech is banned because a majority—or a vocal minority—find it offensive, it becomes a fracture in the dam. This fracture will not stay as it is for very long, because as pressure builds, it will expand, leading to more and more grand fractures, resulting in the entire structure collapsing. What begins as a minor fault can and will inevitably lead to total censorship. Who controls what is deemed offensive? The people? The government? A council of oracles? Who? If the people are in control of what is defined as “hate speech,” there will be no agreement. Everyone is offended by something. If we allow one group’s definition of offensive words to restrict speech, every single act of speech will fall like dominoes, because if one group’s ideas are considered valid, everyone’s have to be. This leads to total censorship. If we allow the government to make the decision, it will be left to whoever is in power to decide what is offensive. How do you think that would work out? One side would use the power to silence their opposition. 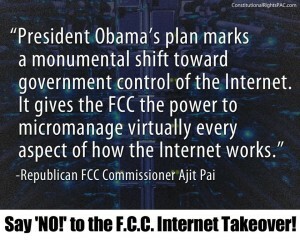 This would create a tyranny. No one can be the arbiter. We must allow all speech, or we must allow none; it’s an all or nothing proposition. I personally consider the slander of Christ offensive. For example, if an artist decides to place a crucifix in a jar of urine, that is offensive to me personally. However, I do not, and would not eversay that someone shouldn’t be allowed to do it–because there begins the landslide. Some people are hateful, some people are evil, and some people want to use their rights to stir up hatred against others, but unless it’s a direct threat of injury or a direct threat to life, it’s protected under the first amendment. Censoring hatred will lead to the censorship of everything else. Either we’re at the top of the mountain, speaking freely, or we’re at the bottom, silenced by the rubble. There is no in-between. Ranchers are prosecuted as terrorists for setting backfires to protect their property, as has been done since the 1800s. 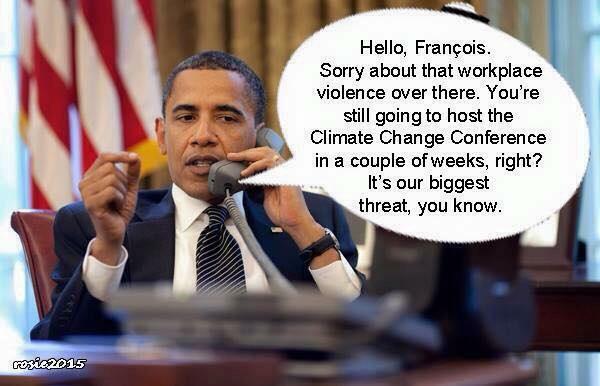 But Obama has NEVER spoken against islamic jihad. Not at Fort Hood, not at Boston, not at San Bernardino, Roseburg, etc. etc. He supports jihad by giving Anti-American speeches at radical Mosques. The same sort of Mosques Muslim countries are closing. For eight years now, the president has reprimanded the American people for their attitudes about Islam. And Barack Obama’s big speech to the Islamic Society of Baltimore — granted, filled with many harmless platitudes — was no different, leaving little room for any honest dialogue about ideology or faith. Many of the president’s ideas about “tolerance,” in fact, are antithetical to the American experience, not something to celebrate. Acceptance of outsiders is an American virtue, yes. Do we have to embrace all ideas, as well? Obama has conflated tolerance of individuals and groups with tolerance of a select belief system — one that he demands be immune from criticism. We certainly don’t want people attacking peaceful Muslims, but it’s irresponsible and intellectually obtuse to act as if the pervasive violence, misogyny, homophobia, child abuse, tyranny, anti-Semitism, bigotry against Christians, etc. that exists in large parts of Islamic society abroad has absolutely nothing to do with faith. This week, Obama spoke about the evils of Islamophobia to a group that featured women covered, subordinated and segregated from men. I’m happy he’s open-minded about that sort of thing. Americans are free to practice their faith in any way they choose. But I’m not sure why all of us should feel obligated to celebrate this kind of narrow-mindedness. You will remember how offended liberals get when presidential candidates visit Bob Jones University or Mormons fund campaigns they find objectionable. Why is this different? Kerry has no more theological authority to brand someone an apostate of Islam than King Salman of Saudi Arabia has to consecrate the Eucharist. Not even moderate Sunni clerics make this claim. Yet, over and over, leftists try and detach the branches of Islam they dislike from the trunk so they can call you a bigot for attacking their idealized conception of Islam. Yesterday, the president explained that an “attack on one faith is an attack on all our faiths.” Christian communities, often older than Islam itself, have been decimated by Islamic groups and left unprotected by moderate Muslim governments for decades. These attacks are aimed at Christians. We have done nothing to help them. It is then completely rational for Christians to be apprehensive about Islam. We can see Europe’s assimilation problems — which the Muslim community here has largely avoided — and wonder how this theology and culture will adapt to secularism. It’s not narrow-minded to do so. It would be reckless not to. “We have to respect the fact that we have freedom of religion,” claimed a president who believes forcing nuns (and everyone) to buy birth control comports with American values. There is no law in this country that inhibits the freedom of Muslim Americans to practice their religion freely. Not one. I’m unsure if the president understands that hearing things you don’t like does not constitute an attack on freedom. People say ugly things all the time. No crime is acceptable, but Muslims have experienced far fewer hate crimes than blacks, Jews or gays. Any way you want to parse the numbers, there is no epidemic of Islamophobia. But Obama likes to create the impression that some great injustice is occurring. Take this CNN headline: “Obama rebuts anti-Muslim rhetoric in first U.S. mosque visit.” What does it mean? In the piece, we learn that president reacted to “young Muslim parents whose children are worried about being removed from the country.” I know of no Republican candidate — or anyone of note on the right; or anywhere else for that matter — who has ever suggested any policy resembling this. Not even Donald Trump.